List, Specifications Leak on Samsung Galaxy M2 Benchmark site - mobilereview.online - The Ultimate resource for mobile phones reviews, specification, information. This year the news came that Samsung will shut down its Galaxy J series. The handset with price range of the Galaxy J series will now be part of the Samsung Galaxy A series. It was also revealed that the company is preparing to bring the Galaxy M lineup, which will replace the Galaxy on series. Now Samsung Galaxy M2 is listed on the benchmark site AnTuTu and GeekBench. This is a way to launch the Samsung Galaxy M2 soon. Specifications are disclosed by the listing. It is known that the handset of the new M series will come with aggressive pricing in the aggressive price. In the listing of AnTuTu and Geekbench, the SM-M205F model number is mentioned. The AnTuTu listing reveals that Galaxy M2 will run on Android 8.1 Orio and will have a 1080x2340 pixel screen. This phone has been listed with the company's Acinos 7885 processor, Mali G 71 MP3 2GB and 3GB RAM. Inbuilt storage 32 GB is reported. In AnTuTu's Benchmark Test this phone got 107,452 scores. In the Geekbench listings, the SM-M205F model number is listed with the Accinos 7885 processor and 3GB RAM. This out of box will run on Android 8.1 Oreo. On the Geekbench, the smartphone received 1,319 single-core tests and multi-core test 4,074 points. Remember that the Acquinas 7885 processor has been part of the Samsung Galaxy A series launched in 2018. One of these is Samsung Galaxy A7 (2018) too. 1080x2340 pixel resolution is a way of pointing to 19.5: 9 aspect ratios. Hopefully Samsung Galaxy M2 or Samsung Galaxy M20 will come with Display Note. 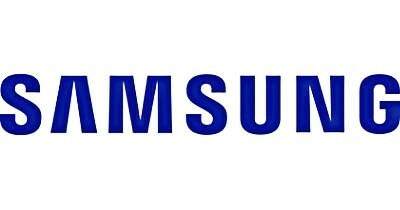 Some reports have claimed that two models of Galaxy 'M' series will be launched- SM-M205F and SM-M305F Earlier, these models were expected to be Samsung Galaxy M20 and Samsung Galaxy M30. But now it has been claimed that they will be known as Samsung Galaxy M2 and Samsung Galaxy M3. In one report, there are reports of launching three models instead of two in the Galaxy M series. These will be - Galaxy M50, Galaxy M30 and Galaxy M20 (or Galaxy A5, Galaxy M3 and Galaxy M2). Expected to provide Amoled display panel in the Samsung Galaxy M50 At the same time, the Galaxy M20 and the Galaxy M30 will come with the LCD panel.